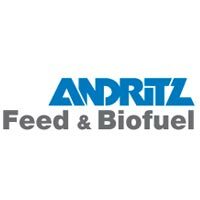 ANDRITZ FEED & BIOFUEL is one of the world�s leading suppliers of technologies, systems and services for the feed and biofuel industries. 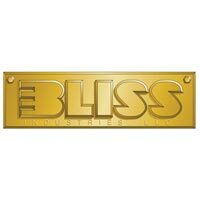 We are strongly committed to excellent performance and quality of the process solutions, thus making us a strong business partner in the industry. ANDRITZ FEED & BIOFUEL provides Decades of experience in providing technology and services to the feed and biofuel industries Reliable solutions based on proven technologies Latest technological designs Energy-efficient solutions Fully automated process machines and plant solutions with full traceability A global company with local presence Serving the global market by operating from five main sites (Esbjerg in Denmark; Geldrop in the Netherlands; Muncy in the USA; Humenne in Slovakia; Sanshui in China) and from many regional sales and service offices, globally supported by a large network of agents and distributors who understand local cultures and specific market challenges, we are able to reach our customers on a local level. Feed (livestock)ANDRITZ FEED & BIOFUEL designs and builds key process machines as well as complete feed plant solutions for the global feed and livestock industries.��AutomationYears of experience with automation of livestock feed production secure a reliable and optimized solution for the entire livestock feed production process.�Conveyor systemsFlexible solutions for conveying process materials�Ingredient intake and cleanersIntake of raw material either directly from the truck load, rail car or via big bags in a dust-free environment keeps your plant clean and minimizes waste of raw material as dust is used in production. Plant design and engineeringANDRITZ FEED & BIOFUEL is the perfect partner for design, engineering, supply, and construction of your livestock feed production plant.